For the 3rd year in a row, Franky's Electric has won the coveted "Super Service Award". I am humbled that Angie's List has chosen our company. We try so hard to service all of our customers with honest and quality service. We are especially thankful to our Angie's List customers to nominate us for this award and leave all of the kind comments. Franky's Electric Installs Residential Electric Vehicle Recharging Stations! Hello! Franky here to tell you more about what I wrote about last month: Plug-in electric cars. As more and more of these vehicles become prevalent in our society. For example, you may have noticed electrical recharging stations popping up here in downtown Orlando and the greater Central Florida area in office parks. Well, these recharging stations run on 220 volt which helps you recharge your vehicle faster than the 110 volt service at your home. However, if you call me, I can install a 220 volt residential recharging station at your home for prices as low as $500. I have installed several of these stations already (one of the stations I installed was for the owner of a Tesla Car), and can also help you select the best station for your money. What Does Franky's Electric Have to Do With Electric Cars? Hi! Franky here to talk to you a minute about electric and hybrid cars. 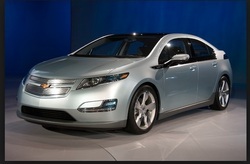 Pictured to the left is a Chevrolet Volt. It is a gasoline and electric powered vehicle. What is unique about the Volt is that you can charge the car from a plug in station that you can have installed in your garage. Why should you care that Chevrolet (Chevrolet.com), and other manufacturers such as Cadillac, Nissan, Honday and others are making these cars? Well, it could mean that you have to call me. I'll tell you WHY you need to call me if you are considering purchasing one of these plug-in cars. Tune in next month and I'll tell you how. Hello! I had a customer call me last week asking me to take care of some needed electrical work to prepare for a "Four Point Inspection". Many of you already know what a four point inspection is all about. However, I would like to let you know what is currently going on in the market place so you are up to date on what insurance companies are looking for. What is a four point inspection? It is inspection that covers the four basic and important features of your home: HVAC, (heating and air conditioning), Electrical wiring/panels, plumbing, and the roof. Homes that are around 20 to 25 plus years of age begin to attract scrutiny from insurance companies that are looking to minimize their risk of a claim. So, that is why a four point inspection might be ordered for your property prior to renewal of the policy. What can I do if my insurance company orders an inspection? First, you can call me. I'd like to hear from you on any concern or service issue you think you may have regarding your electrical needs. If your home contains aluminum wiring or has a Federal Pacific or ITE electrical panel, you may need to replace the panel. Since each house is different in age and type of construction, the best thing to do is call me. I can give you some tips on what to look for if you have concerns about the inspection. Finally, I want to thank all of my past customers for your outstanding comments and reviews of my work. It has been a blessing to me that you trust and have confidence in my work. Hello. Franky here to share some good news about my company. 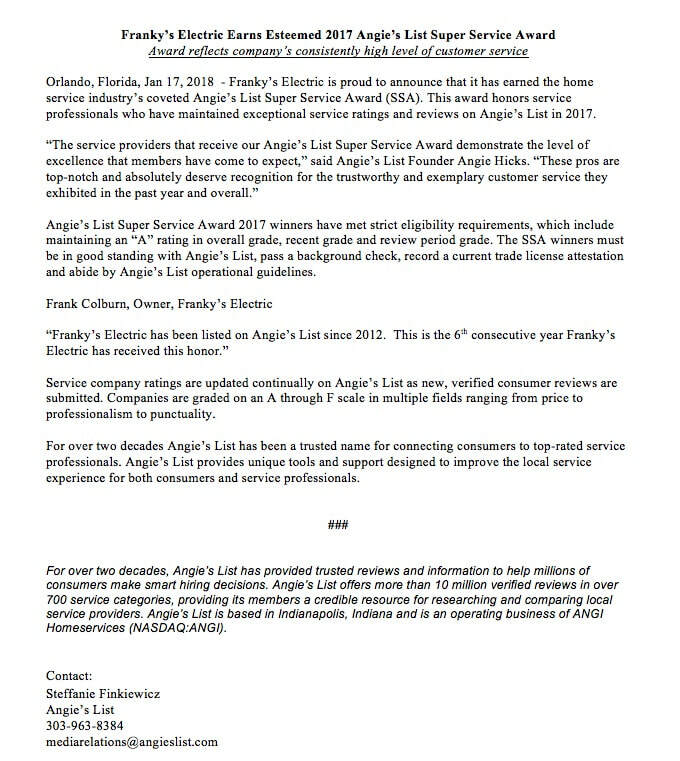 For the second year in a row, Angie's List has recognized Franky's Electric for their annual Super Service Award for 2013. We received recognition in 2012 for this award and are happy that the performance of Franky's Electric has garnered a second award. What does this mean to you? Well, in order to receive this award, you have to receive good reviews from Angie's List members who have actually called Franky's Electric and received service. Secondly, response to each of the Angie's List members needs figures heavily into the rating for the Super Service Award. So, why not trust the judgement of Angie's List members and give us a call and experience what these members already enjoy? To visit my Angie's List Profile Page, click the picture below. Hello! Franky here with a sobering story I read just this last week. Earlier this year, a family of five was killed in Idaho because they used a cheap extension cord that was undersized for an electric grill they were using on their front porch. According to the Fox News report, the family also did not have smoke alarms installed. It pains me to think about the kids that died in that fire. What many people do not realize is that there is still current going through those cords. If you have an appliance that does not automatically shut off, you could be in for some real trouble. So, please think of your loved ones and always use a properly sized extension cord for the task at hand. And, make sure you have smoke alarms installed with fresh batteries. Hi! Franky here. I want to talk to you about old houses. 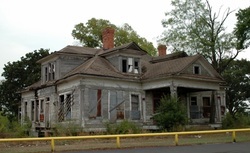 One of the benefits of old houses is you can get them for a good price and fix them up. One of the things that gets lost on prospective homeowners of these old houses is how expensive it can be to rewire an electrical system. Many of these old houses have poor access points and channels to run the wires necessary to supply power to modern day appliances. Many old homes have old receptacles, sockets and panels. Also, many of them have aluminum wire and you should look carefully to see if there are any scorch marks around the base of the walls. If you are looking to buy and old house, give me a call and I can give you a few more pointers to look at if you are thinking of buying an old house. 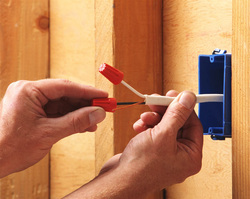 1) Open up your main breaker box located in the garage or on the side of the house. Is there a build up of corrosion? Is there scorch marks present? Move some of the breaker switches back and forth...Are some squishy feeling? Or, do they snap back and forth with a hearty click? 2) Look up from the side of the house to your weather head. (The weather head is where the main power comes into your house. Are there tree limbs near the wires? Do the wires look secure? These are two tips you can use to spot problems early on. Remember, if you have a question, pick up the phone and give me a call. Hi! I'm Frank of Franky's Electric. I will offer money saving tips for your electrical service here on this blog on a regular basis. Subscribe to the RSS Feed below for instant updates.